An amazing colleague told me about Drake Divas a few weeks ago. I attended their first networking event last week and it was such an amazing and unique experience! 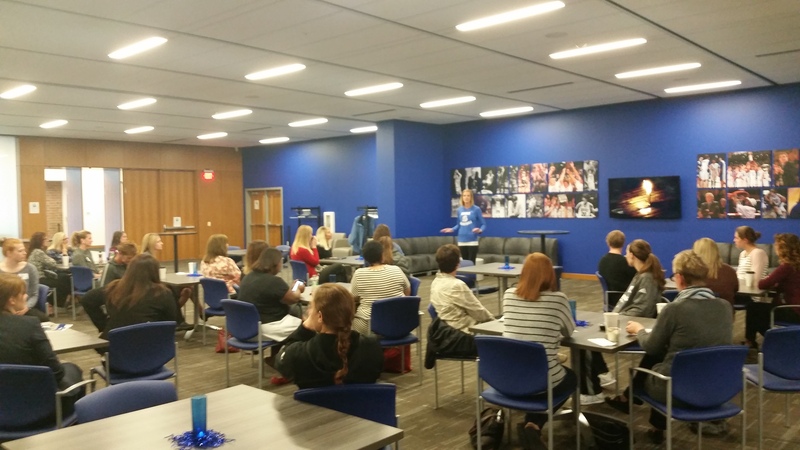 Drake Women’s Basketball Head Coach, Jennie Baranczyk, invites all professional women in the Des Moines area to become Drake Divas. A Drake Diva is a strong woman who is confident, comfortable in her own skin, and inspires others to feel the same way. 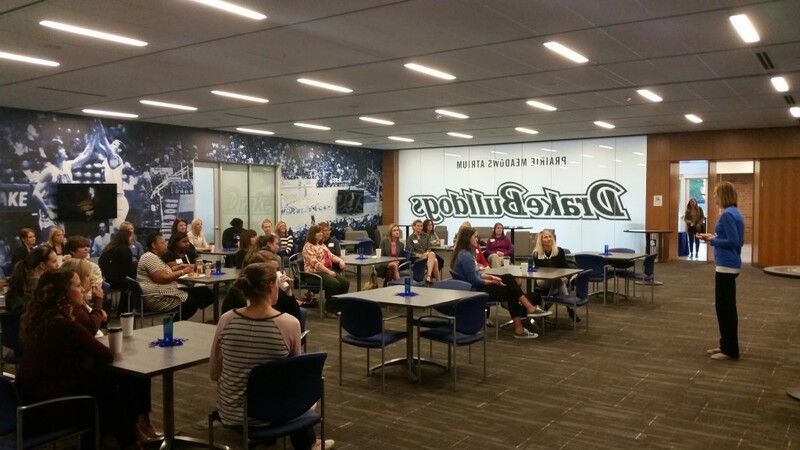 Coach Baranczyk will lead discussions on leadership, teamwork and integrity as they relate to your everyday life. You will leave feeling motivated and empowered. This group is open to all ages and meets on the third Wednesday of each month from October to April. The sessions will begin at 7:30 a.m. in the Courtside Club at the Drake University Knapp Center. Free parking is available in the parking lot east of the Knapp Center as well as the Tennis Center lot. Please use the main entrance of the Knapp Center near the Ticket Office. A light breakfast will be provided. For more information, please call 515-271-2165.